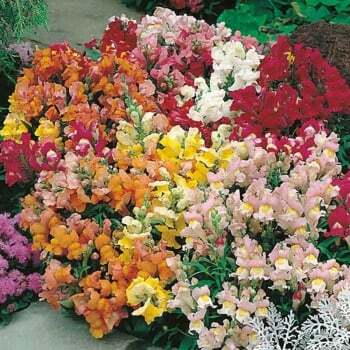 These Mr. Fothergill's antirrhinum tom thumb seeds from Ruddick Garden Gifts are long flowering and come in a range of colours. These compact and bushy plants are ideal for beds, edging and planters and will flower from June - October. Average of 1500 seeds per pack.